Watch full One Piece Season 15 Episode 17 English Dubbed full HD online. One Piece Episode 533 English Dubbed online for free in HD. It’s an Emergency! The Ryugu Palace is Occupied! At the Ryugu Palace, Nami, Usopp, Brook and Zoro tie up King Neptune, the Ministers and the palace guards. They have an argument over whether their next plan should be. However, Nami reveals that she drained the water in the palace. Just as the Minister of the Left tries to plea with Nami about the Log Pose, the princes arrive and meet up with the others. Fukaboshi tells Zoro and the others to round up the remaining crew members and tells the Straw Hats to get out as quickly as possible. Furthermore, it is revealed that Jimbei’s message is that the pirates must not fight Hordy. Meanwhile, Luffy and Shirahoshi decide to go out of the palace together to visit the Sea Forest just as Decken reveals himself to Neptune. 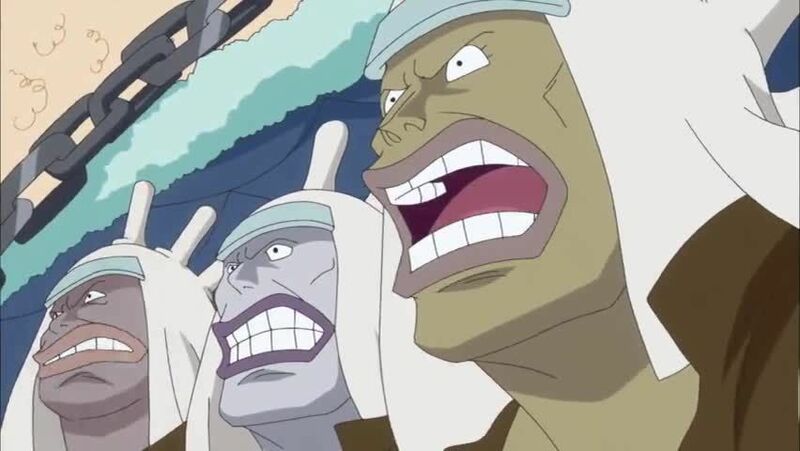 Using Megalo, Luffy and Shirahoshi flee the palace and kick Decken’s pirates out of the way, much to the surprise of Minister of the Right and Brook.